Strawberry Shortcake. She’s as synonymous with the 80’s as Transformers, GI Joe and Cabbage Patch Kids, and much like those franchises, she’s on the comeback trail. Along with her friends Blueberry Muffin, Orange Blossom and Peppermint Fizz, she’s received an image update and a whole new line of toys, cartoons, and oh yes, video games. Hence the review. We will not discuss why I know about Strawberry Shortcake. We will simply move on. 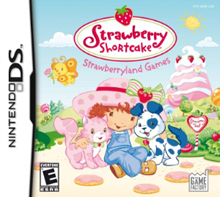 The game we’re looking at today is the aforementioned Strawberry Shortcake: Strawberryland Games. It’s designed as a simple, entertaining kids game featuring the Shortcake gang as they compete in events for fun and treats. It’s by no means meant for adults, but a game like this absolutely has the chance to be a fun game for younger kids to play that features favorite characters. Let’s take a look and see if it does that. Strawberry Shortcake and friends are setting up to start the Nearly-Once-A-Yearly Strawberryland Games, a little competition held, well, “berry”Â nearly once a yearly, where the folks of Strawberryland play games and such. This year looks to be a downer, though, as Peppermint Fizz and her pet Cola Chameleon have been cheating to get first place in every event. Fear not, though, because Strawberry Shortcake has a plan: she’s going to win all of the events herself, FAIR AND SQUARE, to show Peppermint the error of her ways. The story in SS:SG is about as simple of a story as you get, but it does a good job getting all of the important characters together, and it’s cute and amusing for what it is. It teaches an appropriate lesson in the end (cheating is never a good idea, as all it does is hurt others, especially your friends), too, which is good. All told, your kids will enjoy seeing their favorite characters in the game, and the story is cute and good enough for what it is. The graphics are kind of a mixed bag in SS:SG. The 2D graphics (many of the backgrounds, some of the games) look good, as they’re bright and vibrant, and they mostly animate nicely. The 3D graphics (Strawberry Shortcake and her friends), on the other hand, don’t look so good; they appear to have been rendered in 256 colors, so instead of seeing skin tones shade correctly, Ms. Shortcake looks like she spilled mud on her face. The characters also don’t animate well, which leaves Strawberry (as she’s your playable character) looking weird as she walks and plays the games. Also, some games have the 2D and 3D graphics on-screen at the same time, and the 2D graphics tend to look so much better in these cases that one wonders why the whole game wasn’t simply designed in this fashion. For the most part, though, the game looks acceptable enough, and you can tell what’s supposed to be what, but your kids have probably played better looking games on their DS, though if they’re fans of Strawberry, they probably won’t mind. There are only four musical tracks; one for the main score, one for the three non-medaled events as well as Licorice Leap and Balloon Ride, one for the Dessert Booth, and one for Balloon Race. They’re all okay enough, but it’s fairly apparent that they’re of low production quality, for the most part. They’re not earache inducing, and they sound good enough, but we’ve advanced beyond what this game is doing in terms of sound quality on the DS, which is kind of a shame. The sound effects are largely acceptable as well, though again, the DS is capable of far better aurally. 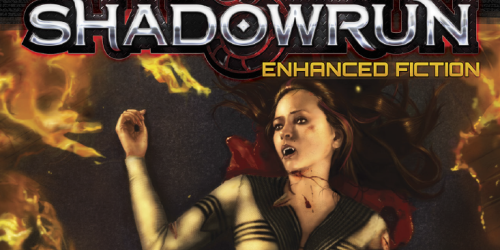 Overall, the game sounds good enough, but considering the generally vibrant and upbeat nature of the character and product, the sounds don’t really match that appropriately. 1.) Berry Bop: Basically Whack-A-Mole, only with fruit instead of moles. Fruit pops out of holes on the bottom of the play field, and you tap it with the DS Stylus before it goes back into the hole. Occasionally gophers come out of the holes, and you have to bop them to get them back into their holes, out of which will also pop fruit. It’s a cute game that’s sufficiently challenging for younger players, and it does what it does well. 2.) Berry Bounce: Similar to Berry Bop. Berries of different kinds come flying out of the bottom of the screen, and you have to tap berries with the DS Stylus to get rid of them. There’s a catch, though: the top screen shows what berries you have left to get, and if you get a berry you don’t need, another berry is added to the list for you to get. Easily among the most entertaining games of the lot, it’s solidly challenging for just about anyone, and it’s fun to play. 3.) Berry Tiles: A simple puzzle game that features Pupcake, Strawberry’s dog. You guide Pupcake across the tiles, and as he steps off of them, they flip over. The idea is, all of the tiles should match, and you have to find a way to make this happen. Younger players will find it sufficiently challenging, but they shouldn’t need much help from anyone to do well at it (I had to give up after around pattern 150), so they should find it fun. 4.) 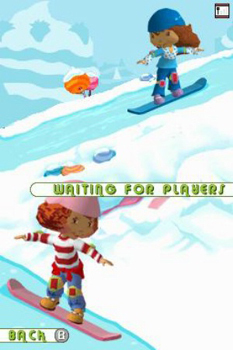 Berry Boarding: A snowboarding racing game, and one of two that allows you to play as one of two characters (either Strawberry Shortcake or, after you’ve played it already, Blueberry Muffin). You race downhill, collecting berries along the way, and try to make it down the hill the fastest, while avoiding the traps Peppermint Fizz has placed in your path. You can also do tricks if you make jumps from ramps (provided you’ve collected some berries; the berries power your tricks) using the buttons or the DS Stylus (which is more difficult, but offers you some of the best tricks). Doing said tricks reduces the time spent on the clock, which is necessary to win the various races. This is also playable multi-player if a friend has the game as well. It’s a simple enough game for kids to get and understand, and it’s pretty fun for the most part, though it can be a bit challenging to get Gold on the races in some circumstances. 5.) 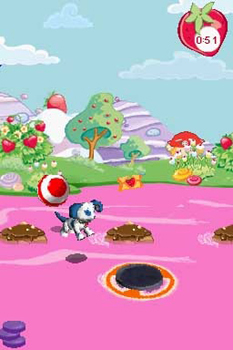 Licorice Leap: You choose between Custard, Strawberry’s cat, and Pupcake (see above), and take them on a race across Punch Bowl Pond. They hop across the lake on what appear to be little brownie bits and on licorice drops you toss out to them with the DS Stylus. You can also blow into the DS mic to cause the licorice drops to drift if you need a boost. The timing of the game takes some getting used to, but it’s forgiving enough that kids should be able to figure it out well enough without too much trouble and do well. Peppermint Fizz is also interfering with this race, but it seems to be less of a problem here than in Berry Boarding and the Balloon Race; even with the balloons and trapped Peppermint jump pads, it was still pretty simple to do well in this race. 6.) 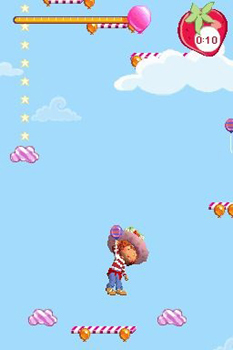 Balloon Race: Guide Strawberry to the top of the race area by jumping on platforms or making platforms for her out of balloons with the DS Stylus. This game is far and away the least enjoyable of the lot, unfortunately. The combination DS Stylus and D-Pad control don’t work very well in tandem, and it’s difficult to work around that. Peppermint Fizz’s attacks against Strawberry are also hardest to deal with in this game when compared to the others, and make the game far more frustrating than it needs to be. The actual control is also spotty; if Strawberry lands in an area where multiple balloons are placed close together, she glitches as she moves between them, which makes it difficult to control what you want her to do. And even beyond that, this is the hardest of the games provided; it’s honestly very difficult to make Gold in many of the stages, and that’s coming from someone who’s been playing these kinds of games for two decades. Your kids will most likely be least impressed with this game of the lot. All of the games have multiple stages to compete in (the medaled races offer a set number, IE Berry Boarding caps out at 14, but the non-medaled games seem as they might go on forever), and in the medaled races, you can come back to circuits you’ve completed instead of doing all of the stages from the beginning (though you’ll have to do this with the other three games). There are also two other games, as I noted before. Balloon Ride isn’t really a game so much as a little thing you can do; it lets you fly Strawberry around Strawberryland in a hot-air balloon, which is mildly entertaining, and if you tap certain clouds, items (tickets, mostly) may fall out of them… or butterflies and balloons might, instead. 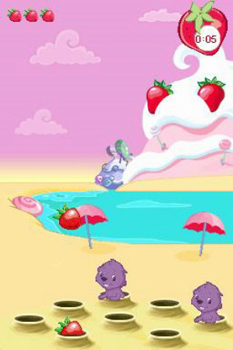 The Desert Booth allows you to make treats which aid Strawberry in the races by, for instance, giving your pet a jumping boost in Licorice Leap, or giving yourself unlimited air in the Balloon Race. Once you’ve selected a treat to make and paid the appropriate amount of Strawberry tickets, a cooking mini-game starts. It’s not exactly as complex as Cooking Mama, but it’s a novel little diversion that’s easy to play and fun enough. The Balloon Race notwithstanding, SS:SG offers a wide variety of fun games to play that will entertain your kids nicely, but will be easy enough for you to help them with if they ask for it. The games play well enough for your kids to pick them up easily, and they provide enough challenge for younger kids to keep them at it for a while. It’s not the best playing game on the DS, but SS:SG certainly plays well enough that your kids should enjoy it plenty. You can go back to races you’ve already completed to try and improve your best times, and if you know someone else with the game, the Berry Boarding multiplayer is something to bring you back. Ultimately, though, the game doesn’t really do anything different the further you get into it, so hour two is the same as hour twenty. If your kids are fans of Strawberry, they’ll keep coming back to it because of that, but on its own, there’s nothing new and exciting to keep them coming back after they’ve played everything. Most of the games are reasonably balanced for younger kids; if you’ve been playing games for a while, they’ll offer you next to no challenge, obviously, but for the little ones, it’s a decently challenging set of games. Balloon Race is perhaps a bit too challenging, and with the games that ask for stylus and controller control in tandem they might have some minor issues, though. Overall, however, it’ll provide the kids a decent challenge without being too overbearing, and if they ask you to help them out, you should be able to do so without much problem. There’s not much you or your kids haven’t seen in SS:SG. 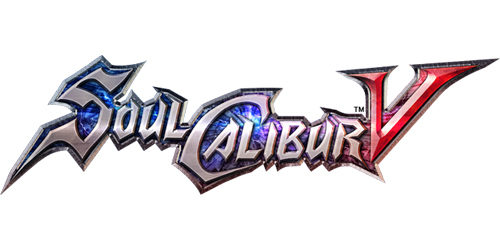 Many of the games that are playable are similar to other products, though the combination of the lot is something different. And while the Strawberry Shortcake license is by no means something new and different (she sure does look young for a twenty-year old), we’ve not really seen it in video game form before. In other words, it’s an old room with a new coat of paint and replaced furniture; it’s the same old room, but the new stuff makes it interesting enough to be different. How addicted you are to the product depends largely on how much of a fan you are of Strawberry Shortcake and friends. Fans of her will find the game to be quite addictive, largely because it’s pretty fun for the most part. Those who like her, but aren’t strong fans will most likely find their interest waning after a short period of time, though. The game offers a lot to do, but a lot of it is the same thing over and over, and if you’re not hugely into the character, the game might not keep your interest long. If your child begs for new dolls and clothes emblazoned with Strawberry and her friends, they’ll most likely want to play this for a long time, but if they don’t, it might not hold their interest long. I don’t have any children of my own to speak of, so I can’t answer as an authority on the subject, but when I let my cousin play the game she seemed to be very happy about that, so I imagine the character is pretty well liked. There’s a certain amount of nostalgia attached to the character, I think, and now that she’s making a comeback, parents who loved her when they were kids can get their kids into that same appreciation. It’s not… I don’t know, Yu-Gi-Oh or Spongebob or whatever… but I can easily see this appealing to fans of things like Dora the Explorer as well, so I’d say it’s a pretty appealing piece of work, overall. 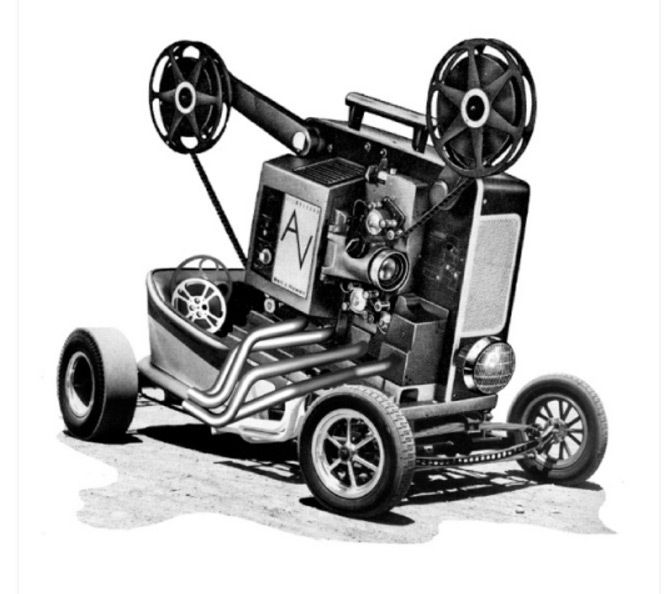 No technical issues to speak of with the product. It does bear noting, however, that the instruction manual is strawberry scented; this is cute, but it makes the outside of the manual feel like sandpaper. I also have to say that I think if the game offered single card multiplayer or some more multiplayer games it would probably be a better product, as I can easily see something like a competitive Berry Tap or Berry Bounce being a lot of fun to play. Still, it’s a solid effort that young kids should have a lot of fun with while it lasts. Anyone over ten years old is probably going to turn up their nose at it, but for the younger set it’s worthwhile. As a children’s title, Strawberry Shortcake: Strawberryland Games is an entertaining, if limited, experience. Younger children will enjoy seeing their favorite characters in the game, and several of the mini-games are quite fun for a while. 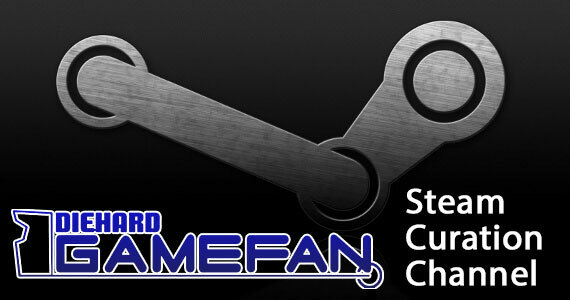 Older kids and adults, obviously, won’t find any reason to play it more than a couple of times, and the game does wear kind of quickly, but if you’re looking for a little something for a fan, you’ll find this fits the bill reasonably well.